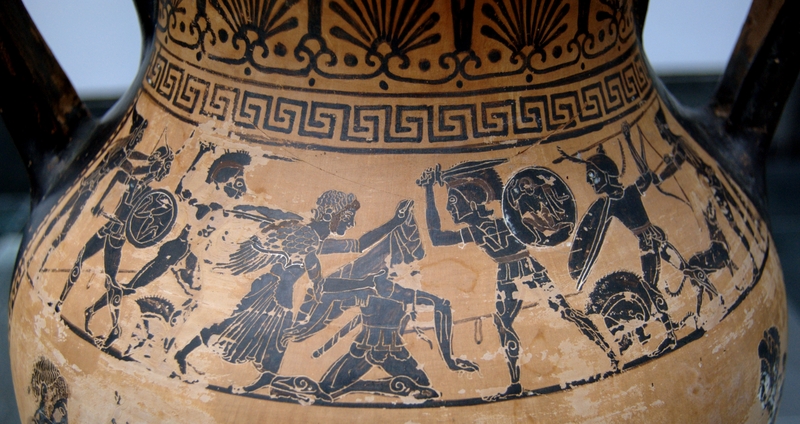 The Iliad is one of the most influential works in world literature, was the first to use many now common narrative techniques, and used characters that became archetypes in literature well into the literature of today. It has been a primary source of information about Greek culture and mythology for centuries. Aphrodite rescuing her son Aeneas wounded in fight, scene from The Iliad. Shoulder of an Etruscan black-figure amphora, ca. 480 BC. Martin-von-Wagner-Museum. Full text of the Iliad with Greek and English together.